Nisha Mohite has recently received her Indefinite Leave to Remain (ILR) from the Home Office. An usual journey of many immigrants’ life, Mohite is an exception to the rule. A victim to Home Office's arbitrary use of article 322 (5), she was unlawfully booked under a terrorism-related clause that is meant for “criminality, a threat to national security, war crimes or travel bans”. But after struggling for 3 years, under huge debt of money and gratitude, Mohite has finally seen the light at the end of the tunnel. “It was not easy,” she told Asian Voice. 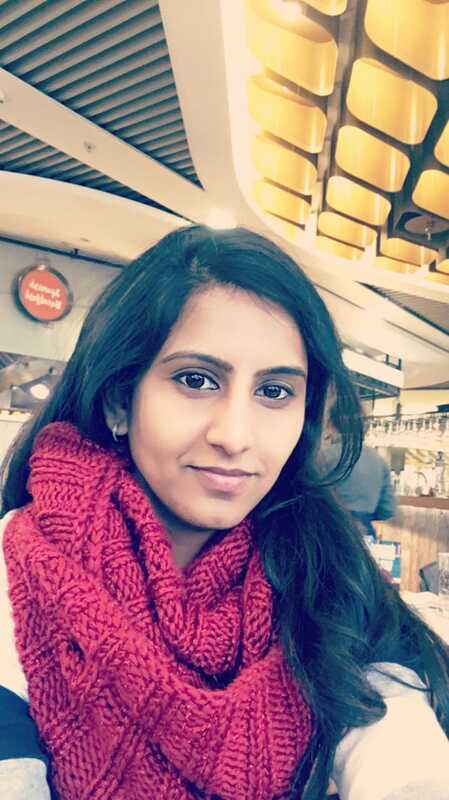 After completing her Masters in Pharmaceutical Analysis from Strathclyde University, a niche field of study in 2008, Mohite immediately found a job in her area of expertise. She worked in the quality assurance department for a big pharma company that manufactured anti-cancer drugs, but discovered in 2013, that her accountant, who had returned to Pakistan, had made mistakes in filing her tax in 2012. Part-employed and part-self employed, she owed around £4000 to the HM Revenue & Customs, which she immediately paid off without being charged any fines by the tax authorities. However, in 2016 when she applied for her ILR, inspite of paying £2500 for a one day premium service, her visa decision remained pending, especially after the tax discrepancy of 2012 was pointed out at the Home Office interview. Nisha had already cleared the difference, without any fines or sanctions, yet the Home Office used the same reason to not only reject her application but also served her with a section 322(5). Without any right to appeal, Mohite soon asked for an administrative review. But the Home Office’s letter explaining the failure of her administrative review reportedly said, “We do not find it credible that a fully qualified accountant would fail to declare the correct earnings to HMRC.” The letter then went on to say that Mohite’s application had not been refused because they suspected her of being dishonest, instead had served her with a 322(5) for “undesirable conduct”. Nobody knew what the undesirable conduct was, though it clearly needed the case worker from the Home Office to spell out exact reasons for booking someone under a law for terrorists. When she gathered her case worker’s notes on request, it was clear she had satisfied the authority with her genuine income and proof, yet the end result was a refusal. “I don’t know why I wasn’t given a chance to challenge the decision!" She told Asian Voice how the coming days were a challenge. “I don’t know why I wasn’t given a chance to challenge the decision. I lost the right to work, though there were plenty of jobs available to me. In fact my old company struggled for a year to find my replacement! And I knew I had to go for a judicial review. However, in November 2018, she was told by the Home Office that they recognised the application was refused in error, offered legal costs, but delayed giving a clear decision on her ILR on the grounds of a few interdepartmental scrutiny for another few months. But an angry Mohite wrote back in January with the help of campaigner Aditi, asking for explanations and the Home Office re-instated her right to work immediately and soon granted the ILR status. “I have received my passport back and waiting for the biometric card to arrive. Though I badly want to see my family, I can’t go immediately. I have lost two and a half years of work. I have just started working, I have so much debt to repay. It will take 6 more months for me to visit my parents in India,” Mohite added. But there are many who are still waiting for justice, and Mohite is happy to help them. The Guardian reported that from the 300 people found to have had the paragraph wrongly used against them, the review suggested that up to 87 highly skilled migrants had already been wrongly forced to leave the UK. They were mostly people who had lived in the UK for a decade or more and had British-born children. Many were given just 14 days to leave and were no longer eligible for a visa to visit the UK or any other country. The review also found that another 400 people may have been wrongly affected. However, the total number is likely to be substantially higher with hundreds of cases still to be heard.